Kalimpong is all set to be declared a separate district West Bengal on Valentine's Day The day will be a day for celebration and will be remembered by the entire populace who wish to see Kalimpong as a separate district. 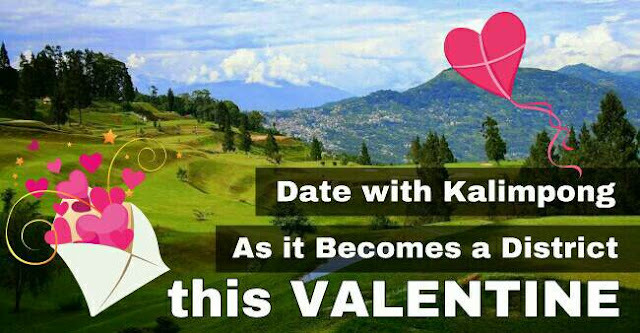 Chief minister Mamata Banerjee is officially visiting to formulate Kalimpong subdivision into a district. Today Darjeeling SP Amit P Jawalgi along with Darjeeling district magistrate Anurag Srivastawa and additional district magistrate, Darjeeling, visited Kalimpong ahead of the chief minister's visit schedule for 13 February. The administration team visited Delo Tourist Lodge where the chief minister will stay from 13 February to probably 16 February. Meanwhile Kalimpong Mela ground situated in the heart of the town will witness the historic day on 14 February where Kalimpong will be officially declared a district. Kalimpong's district magistrate superintendent of police along with other officers will assume their office in the existing SDO and ASP office of the town. The team after visiting Delo came to Mela Ground where the main programme will be held on 14 February. When asked about the chief minister's visit Mr Srivastav said Miss Banerjee will arrive on 13 February and will return on 16 February. He said temporary arrangements have been made and the change in offices has been made ready 'more or less'. "Permanent land has been identified where the construction will take place. In some cases tender procedure has been started by PWD and designing works are ongoing, It may take a year or two to get the infrastructure ready Delo, PWD office, ASP office, PTTI lands has been identified where new construction will take place," informed the district magistrate.